The Enterprise Investment Scheme (EIS) was launched in 1994 by the UK Government to encourage investment into ambitious private companies with high growth potential. Investing in EIS eligible businesses is a higher risk, higher return investment strategy. To minimise risk, HMRC introduced a range of tax incentives to encourage investment into growth-focused UK businesses. An exciting asset class that drives the UK economy, with investors backing the businesses that drive growth. 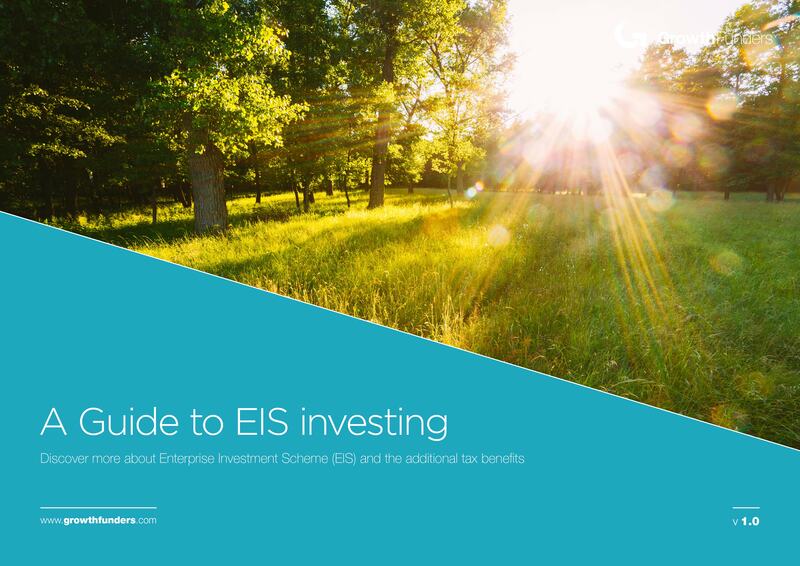 To discover more about EIS and specific tax incentives, download a copy of our free guide. In order to stimulate entrepreneurship and encourage private investors to invest in unlisted early-stage businesses, the UK Government launched the Enterprise Investment Scheme (EIS) in 1994. The stimulus was founded on providing investors with a range of tax reliefs. The EIS offers investors great incentives to make an equity investment in early stage companies. Investors can claim back 30% of an investment in an EIS-eligible business as income tax relief. Capital gains tax liability can also be deferred through investing in an EIS-eligible business. The EIS is configured to assist ambitious entrepreneurs developing business propositions that they believe will be commercially successful. Entrepreneurs require growth capital to execute their business plans. A popular way of accessing growth capital is to release equity to investors; these investors can be institutional, professional or retail investors. More recently, GrowthFunders has enabled these investor groups to invest alongside each other. Finishing with a live Q&A, the webinar is a perfect introduction to tax efficient investing, providing all the information you need to make you fully aware of the immense benefits of investing in tax efficient initiatives within the UK. Access to growth capital is important not only as a means of helping entrepreneurs to realise their business vision, but also as an encouragement for entrepreneurs to develop business visions. EIS is designed to boost the flow of growth capital into early- stage, unlisted businesses (those not trading on an open market). Maintaining a strong pipeline of startup businesses is important to the future success of the UK economy. What are your Capital Gains in 2017/18? What are the benefits of EIS for investors? Tax relief of 30% can be claimed on investments (up to £1,000,000 in one tax year) giving a maximum tax reduction in any one year of £300,000, provided you have sufficient income tax liability to cover it. There is no minimum investment through EIS in any one company in any one tax year. Any growth in the value of an investment in an EIS-eligible company will not be subject to capital gains tax when it is sold. First of all, check that the pitch you’re interested in has got EIS ‘advanced assurance’ – this is a certificate emailed to the investor by HMRC confirming that investors will benefit from EIS. Secondly, you can claim your money back once the business has been trading for a minimum of four months or has spent 70% of the investment they received. Finally, EIS relief can be claimed up to five years after the 31st January in the year you made the investment. When the company that has secured the investment has been trading for four months or spent 70% of the total investment, it must submit form EIS1 to HMRC (or, more specifically, the Small Companies Enterprise Centre otherwise known as the SCEC). Once EIS1 has been reviewed and the requirements met, the SCEC will issue a copy of form EIS3 to every investor. These are sent to the company and they can be passed on to each investor for them to complete and submit as part of their tax return.